"In a drop of oil there is the secret of happiness", tells an old legend that seems to belong from the beginning to Olio – Cucina Fresca. It is not a coincidence, because this is above all the story of a dream that is born, nourished and lives of unmistakable traditions. Good, authentic, genuine. Olio - Cucina Fresca born from the love and curiosity of two young people, Angelo Fusillo and Paola Totaro, in love with the authentic and traditional Apulian cuisine and united in the continuous search for the perfect flavor, that flavor that relies on tradition but dares, experimenting with new solutions. 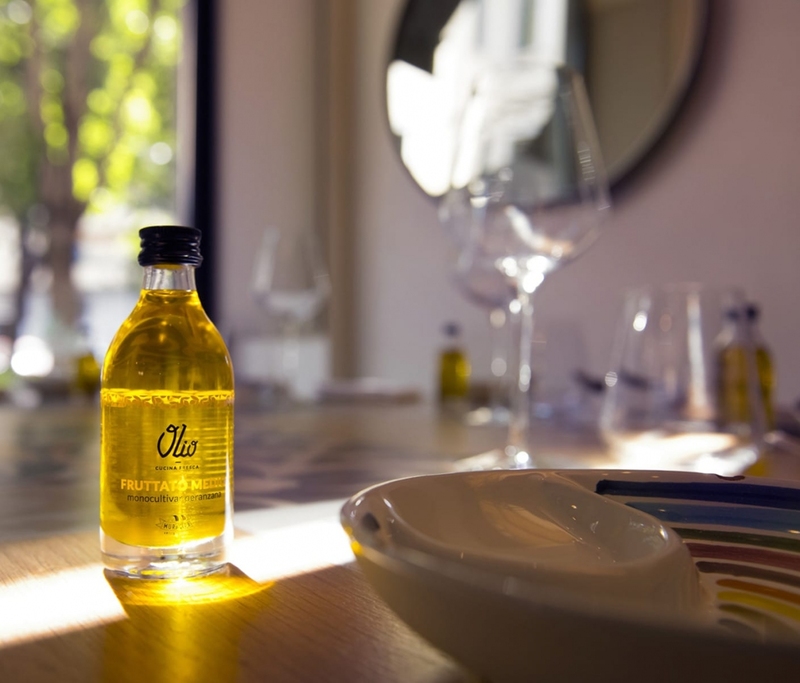 Olio is a new idea of traditional Apulian cuisine, unusual and almost subverted. An idea that is the result of a long and tireless search for the best ingredients and the desire to revisit the typical flavors of the South, with the essence of their most authentic nature. 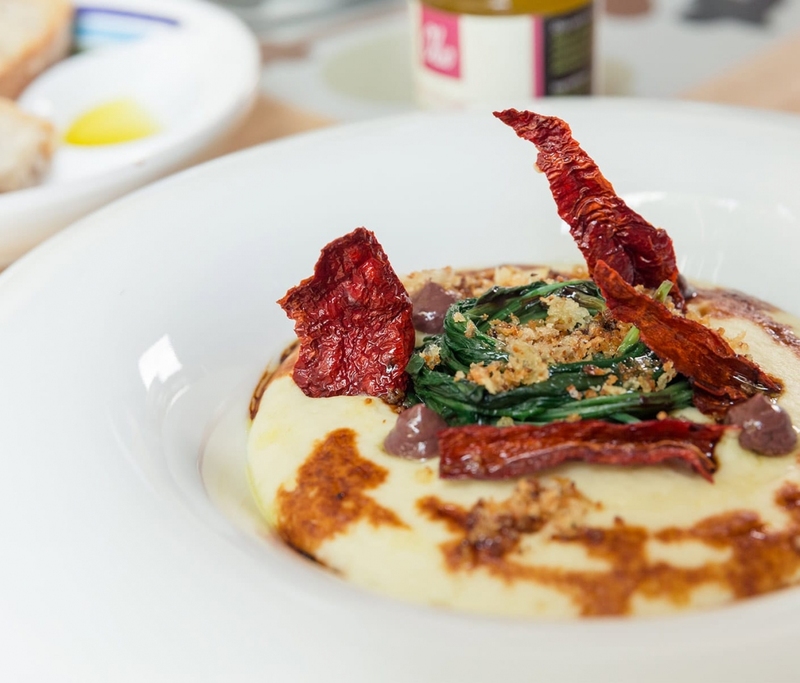 Frantoio Muraglia Oil is the oil chosen to accompany the caciocavallo podolico, which is linked to the tomatoes of Monopoli or the beans of Carpino, which enhances the capocollo of Martina Franca and any preparation made with products protected by the Slow Food Presidium. Choosing oil is like choosing one's life partner, it is done in a thoughtful way but with an open heart. 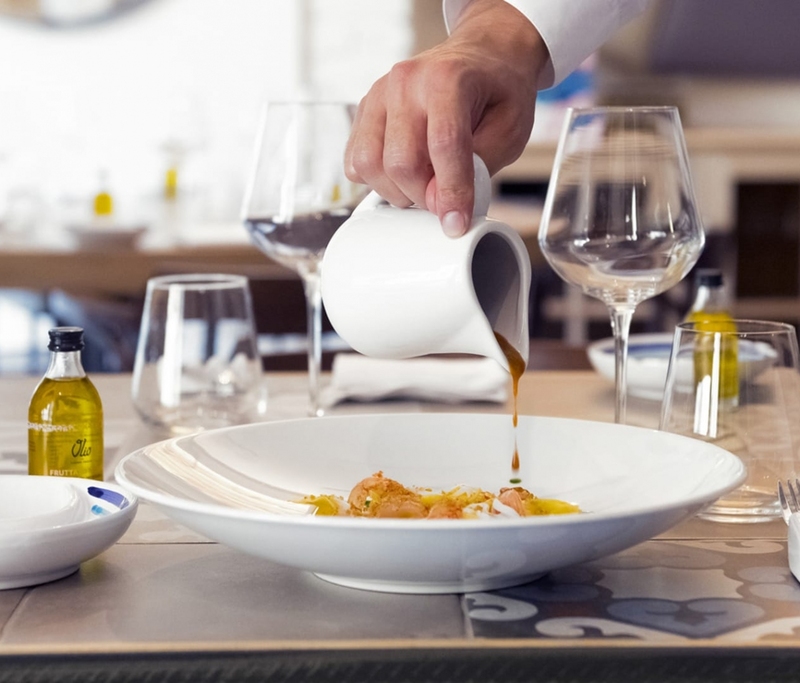 At the core of this story is the oil: we use it in every preparation and we bring it to the table, as cover, so that everyone can taste it and then take it home to experiment with it in their recipes. A welcome and a goodbye that taste like sharing, smell of freshly baked bread and handmade taralli, just like those of our chef.